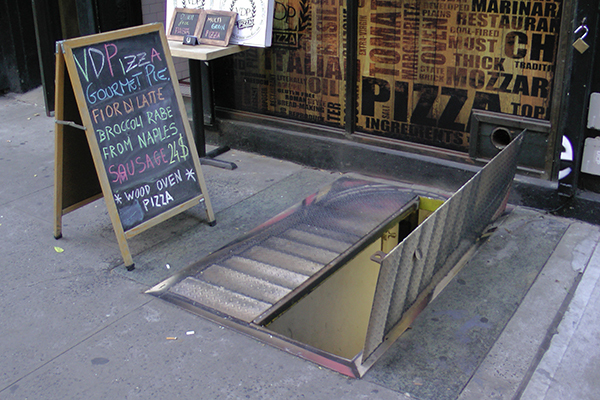 Last week, I posted a picture of dungeon stairs painted onto the cellar doors of some place on St. Mark's Place. Now isn't that an appetizing name?! a third photo, please? showing the open cellar door open, the trompe painted stairs, and, the real stairs. That would make me dizzy!